Hipster Raptor Meets a Peacock! The result of a conversation on Facebook, a raptor meets a Peacock. 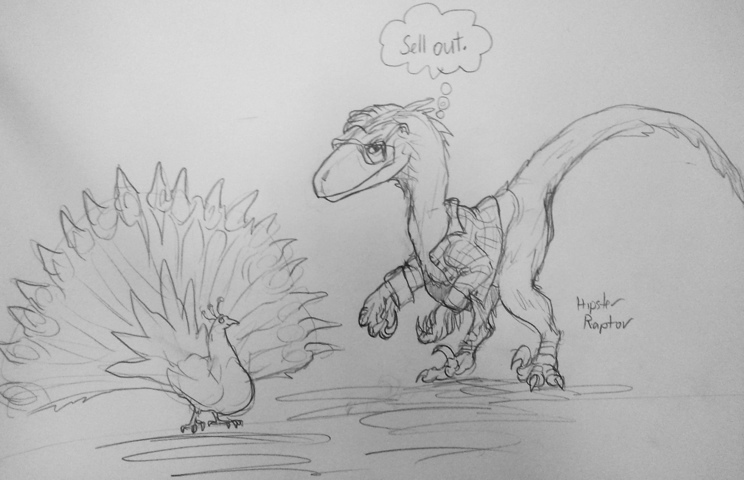 Sorry I mean a Hipster Raptor meets a sell out Peacock.